All boxes are handmade in our production hall in Denmark by experienced craftsmen. 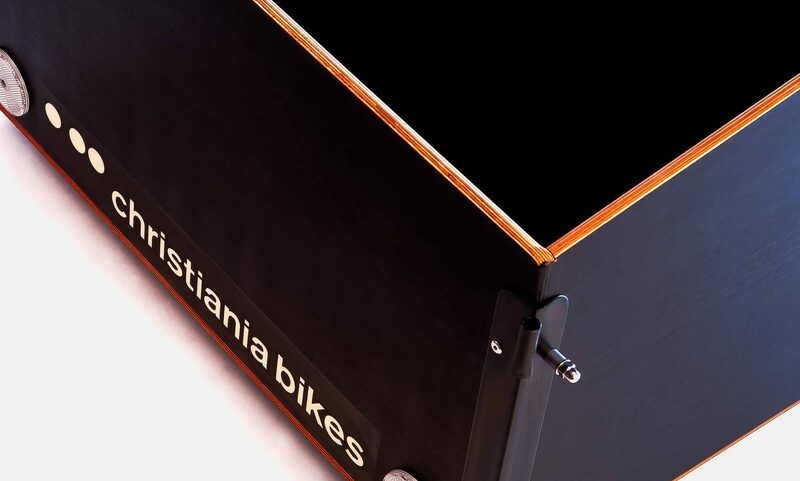 The boxes are made of eco-friendly wood from European FSC certified forests and aluminum and steel. As standard, the box is made without a car paint color. If you wish a more colorful model, we can paint the wood in one or more of our six car paint colors. The paint is a high quality and shiny car paint color from our local car paint shop and is also being used for painting cars. For model Light, we offer both a hub motor system and a mid-motor system. The hub motor system is a great all-round option and is equipped with a powerful walk assist. The mid motor system is made by Pendix. It delivers an almost silent and natural feeling. The Pendix system is recommend in areas with a flat terrain and in situations where you do not require a high payload. For model Light, we offer many different gear systems from Shimano and Sram. Please select a system to read more about it. 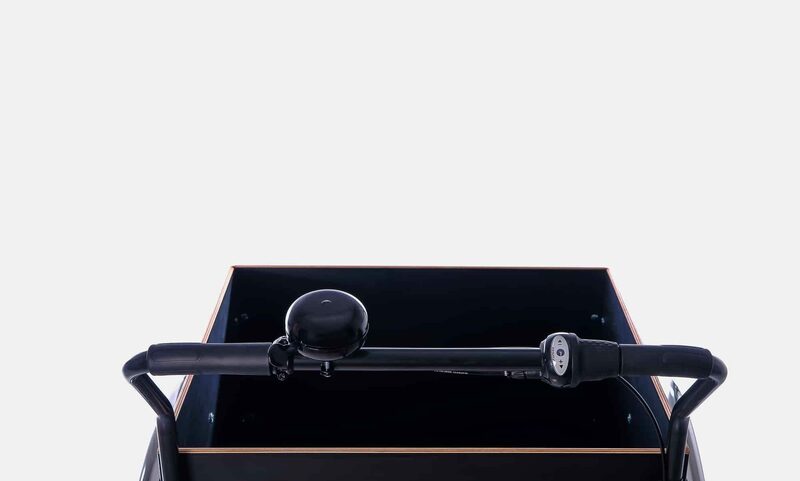 All internal gear systems are delivered with a Shimano hub and turning grip. 8 derailleur gear system is delivered with Sram X4 derailleur and shifter. We offer three different brake systems for the front wheels for model Light. The brake systems are delivered with high quality steel axels, spacers, washers and bolts. 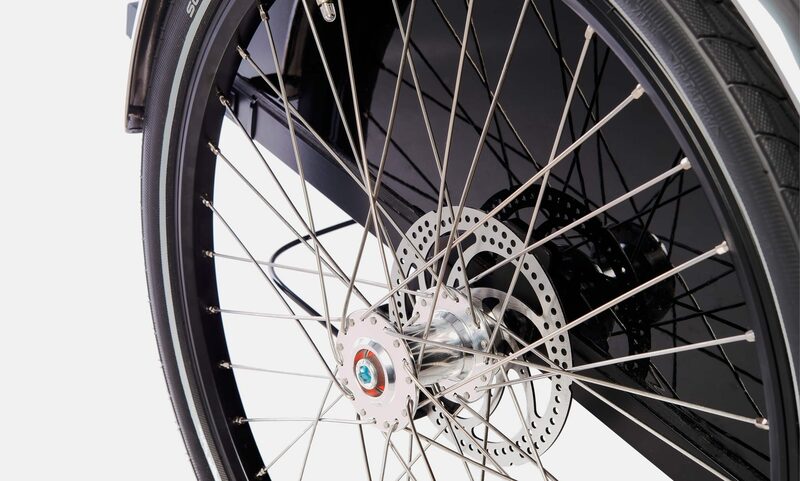 The disc brake systems are delivered with our owned designed steel brackets in black finish whereas the roller brake system is delivered with our own special designed adaptors. 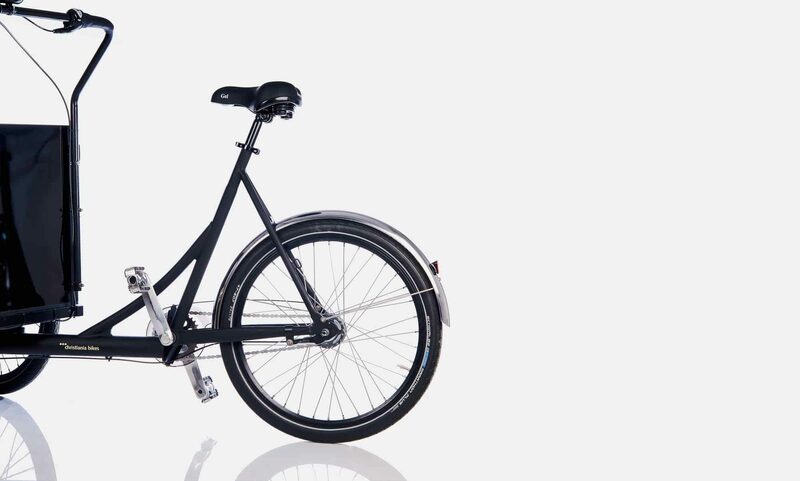 All systems include a parking brake function which prevents the bike from rolling away. 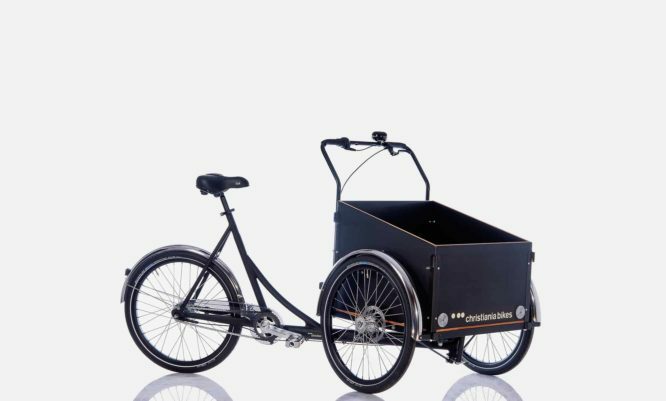 Model Light is our most versatile cargo bike; both for families that need space for groceries while carrying children and for nurseries that wish to carry up to four children. 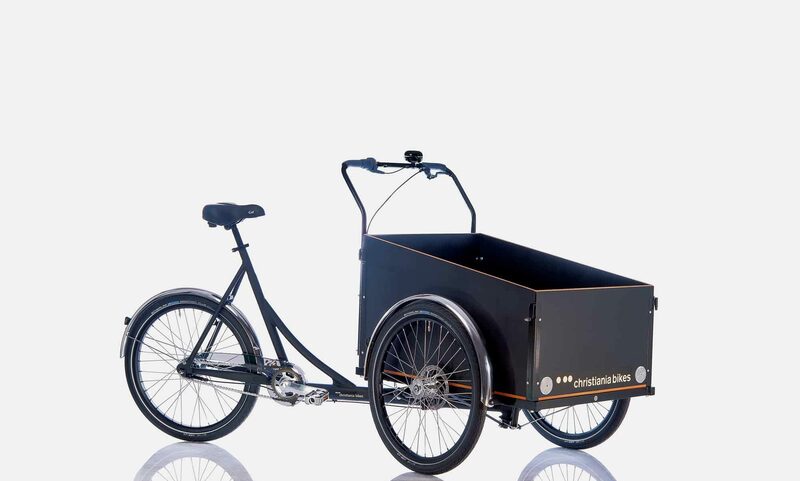 Model Light is a good all-round cargo bike due to its box size and strong construction. It can take the children for the school run and also transport heavier loads. 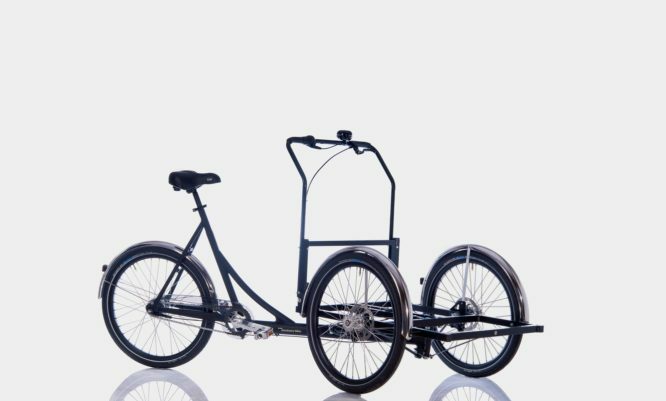 On the same time, model Light is our cargo bike with the most available configurations. 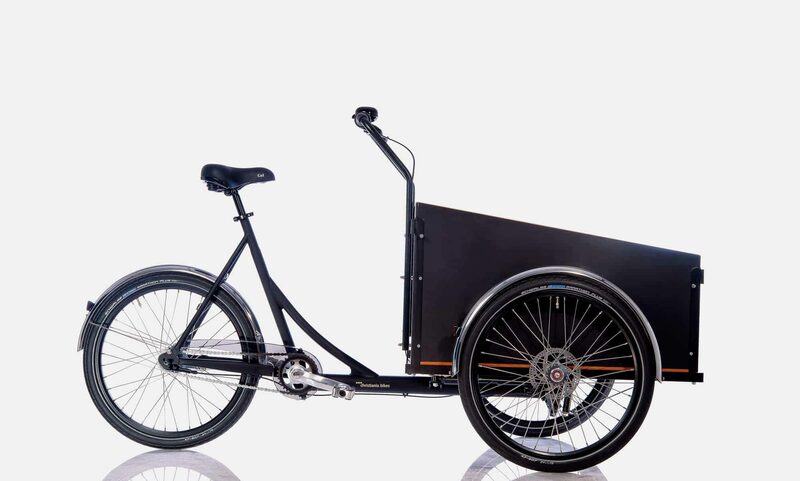 The turning radius is only 480 cm making it a surprisingly manoeuvrable cargo bike in most urban settings. The total width of 87cm has been designed to make it possible to easily enter normal sized backyard doors in Copenhagen. It was launched in 2005 and is an improved aluminium version of the discontinued steel version, model H/box. Model H/box was launched in 1991, and this model is still seen today in cities all over Europe with a gold galvanized steel rear frame. 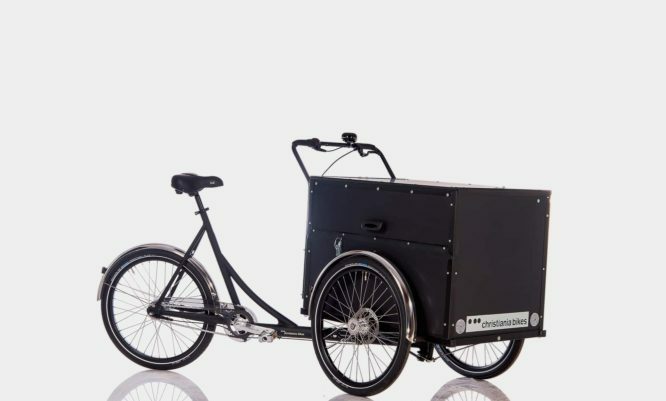 Model H/box was our first cargo bike with a side suspended wheel construction. It was also our first model with a mono rear frame, which was designed of a single alloy tube to improve the handling. The mono rear frame construction and the use of lighter aluminium alloys are the reason behind the name, “Light”. 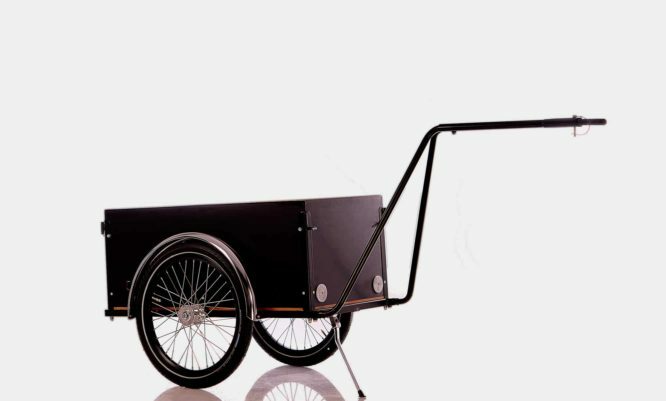 A low weight yet strong cargo trike.